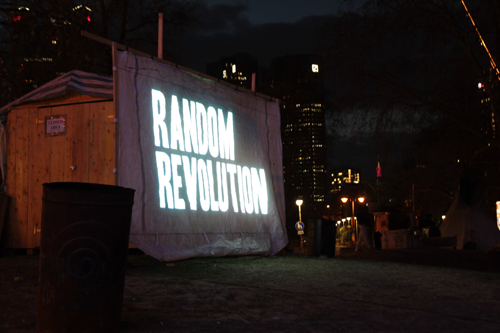 Under the title, “Random Revolution” LICHTER 2012 presented for the first time a reel of short films, which was developed jointly with members of the OCCUPY:FRANKFURT video team. 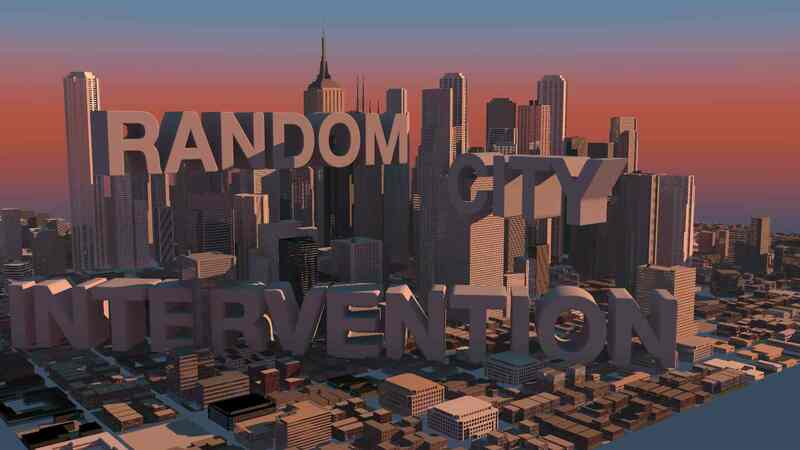 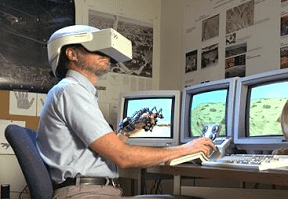 With “Random City Intervention” we are continuing this program, this time together with the curators of FIESER hacktivism and LIBERATION MOVIES. 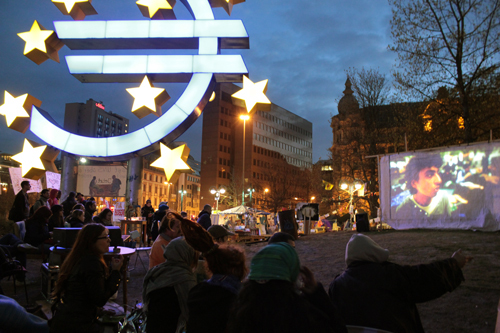 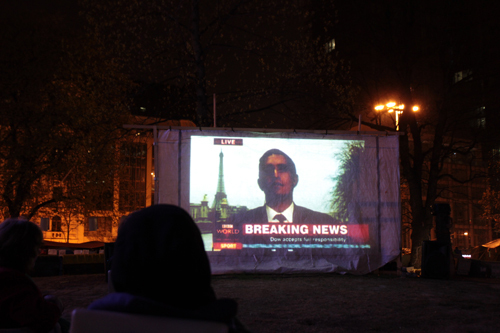 “ Last year LICHTER had a partnership with the videoteam of Occupy Frankfurt and we showed a 1.5 hours program of short movies and internetpublished clips in the camp directly in front of the European Central Bank.